Economic activities remarkably expanded in Liberia, averaging 7-8 percent growth rate over the last 5 years, but inherent supply-side risks are eroding the gains. Existing economic indicators of spiraling inflation, depreciating exchange rate and diverse fiscal constraints are imminent economic challenges requiring wide range of policy debates and discussions to elicit pragmatic solutions. Sustaining the growth calls for pragmatic policy actions from all strategic fronts to help mitigate ‘economic waste’ and redirect resources to productive sectors. Thus, this commentary seeks to provide a synopsis on monetary and fiscal implications of the supply-side constraints (i.e, factors that inhibit economic productivity). Liberia’s inept ability to handle supply side constraints is mounting the inflationary pressure. In the face of weak external demand for Liberia’s exports and escalating price of fuel, the current macroeconomic imbalance is hurting all facets of the economy. The existing structural constraints, coupled with fragile fiscal and monetary coordination, are indicative of a threat to any strong macro-economic fundamentals (high foreign reserve, domestic savings, investments, etc), which are essentially vital for a sustained resuscitation of the real sectors. Stepping up effort to improve competitiveness of exports and promote agricultural activities would tame inflation by checking on the rising prices of food. The foregoing is suggestive that monetary phenomenon, as perceived by few stakeholders, may not be the main inducement of the persistent rise in prices, rather supply-side remains the pacemaker of our staggering economy. However, the general perception appears that the monetary authority’s financial inclusion program of advancing finance to the ‘vulnerable’ businesses is influencing inflation, while others attribute the inflationary pressure to the depreciation in exchange rate, which is partly acceptable. Despite the relative exchange rate stability enjoyed in most of 2012, the economy was still exposed to inherent risk of potential depreciation in the exchange rate and high inflation due to sluggishness in priority investments to ease infrastructural constraints for a thriving real sector. In addition, the persistent current account deficit is mainly ensuing from high importation of goods (especially food and fuel) and the failure of the real sector to generate adequate foreign exchange. All of these have made the public uncertain of how long the various policies undertaken will go to dis-inflate and stabilize the economy. Aside from other external shocks, the wide spread between the exchange rate in banks and forex bureaus is underpinning an expanding parallel market that could likely increase transactions outside the banks and support inflation. Inward remittances are likely on a downward trajectory potentially due to the drawing down international staff (especially UNMIL) and slowing foreign aid. This phenomenon directly implies a high demand for dollars; the propagatory effect is leading to pass-through effect to rising prices. So, what is the policy fallback to narrow this gap? It is understandable that increased economic uncertainty provokes monetary authority to be discretionary in using unconventional monetary policy to stimulate output in Liberia. Based on the weak supply response, the monetary authority’s action of not instituting an expansionary policy is strategic, because it may influence higher inflation if production does not respond favorably to money growth. So, the current policy path of the monetary authority to support smallholders seems appropriate because of the limited interest of other financial institutions in small holders, which are the main springboard for livelihood by many downtrodden in Liberia today. The low cost credit to them (small holders) would help to boost domestic production and potentially ease the burden of inflation. The effectiveness of this policy however depends on whether significant portion of the exposures is directed at domestic activities in agriculture, furniture or other local-made products, instead of re-enforcing the high importation of goods that is already subduing the economy. In any case, a key socioeconomic implication of the policy is a reduced financial struggle on economic agents, who may use portion of the investment returns to meet other payment needs (school, rent, medical, transport, etc), including food, which are the main absorbers of low-income households’ incentives in Liberia. Perennial intervention to contain build-up in the exchange rate pressure is also an indication of necessary utilization of monetary instrument in the short term, but it is not sustainable. The intervention mechanism, often counteracted by capital outflows and sometimes ‘public hoarding’ of foreign currency in the economy, is likely complicating the economic stability. The need to partly offset the trade deficit via other capital inflows is vital to further contain exchange rate variability. Interestingly, this would ensure that the stability of the exchange rate vis a vis the demand for United States Dollars (USD) is not as badly out of balance as the supply. The Treasury bill regime (recently launched) is a worthy monetary venture for the medium to long term to control liquidity and ease some of the imbalances, but massive education and sensitization are required to make it more effective. 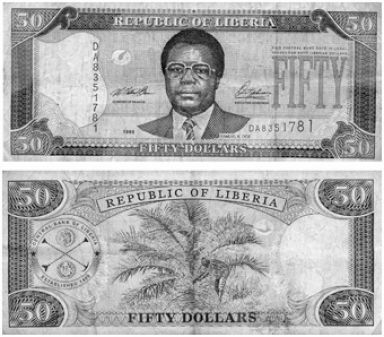 In addition, de-dollarization effort in terms of payments of salaries and other domestic transactions in Liberian dollars ought to be re-enforced to relieve the operational challenge on monetary policy. Tax mobilization has inched up, but fiscal policy still needs sound rethinking to strengthen effort in tackling development priorities that would remove supply-side bottlenecks. Increasing demand for recurrent expenditures has implications for budget deficit that propels inflation via its (deficit) financing. Given the financial constraints of the giant economies to assist Liberia with budget or programme support, domestic window would remain thin to offset any budgetary shortfall. Thus, intention to raise the planned budget by more than 25% (cumulative) over the last three years may have been good, but risky due to donor fatigue and non-automation of revenue collection mechanism to ensure accuracy of revenue forecast. Thus, instituting expansionary fiscal policy without a tactful monetary policy remains a huge risk, given the perennial budget deficits endured over years. Realization of middle income cannot thrive on waste of resources and high consumption economy without sustained emphasis on production. In 2010, I stressed this point in one of my commentaries that Liberia should be wary of persistent salary increment because of the country’s limited and poor social infrastructure for earners to spend the income, fiscal difficulties of donors’ countries to support budgetary gap and the implication of increased taxes to finance the salary rise. It seems we are gradually feeling the pinch of ‘money illusion’, where households’ salaries are rising in nominal terms, but low in terms of value to venture into the market. Weak social infrastructure (school, hospitals, transportations, etc) is a reflection of high cost for the low income earners to access quality services, domestically. Fixing the macroeconomic problems, the legislature and the executive arm of government ought to understand these fundamentals that any percentage change in salary on the upward horizon puts huge pressure on the fiscal to source the fund and the monetary authorities to accommodate potential budgetary gap. Perhaps, expected returns from domestic resources such as diamond, gold, iron ore, royalty from oil etc are motivating factors behind the increasing incentives of public workers. Let’s understand again that non-tax income, especially the ones emanating from mineral resources are non-deterministic in many perspectives (price fluctuation, low demand, resource depletion, etc), and therefore not a good instrument to consider for increasing the budget. Unless the country has stabilization fund where fixed proportion from mineral income is saved periodically for intervention, direct inclusion of all natural resource income into the budget is a high risk that we have often endured. In concluding, the existing macroeconomic imbalance could haunt Liberia in the short and medium term if macroeconomic policy efforts are not urgently pursued by fiscal and monetary authorities in their actions to reduce supply-side constraints, and to consider adoption of ‘inflation targeting lite’ in the medium term, which would obligate both authorities to control inflation. In the short term, fiscal effort should entail rapid reduction of expenditure wastes, while the monetary should continue to keep interest rate low/steady and prioritize local-made business ventures in its financial inclusivity program. About the Author: Dukuly is a senior economist at the West African Monetary Agency (WAMA) based in Freetown. The views expressed in this commentary do not represent WAMA. Unholy Alliance?-When Sadness Rejects Mistrust; And Suspicion Roams The Corridors Of Purged Hope; Indeed, Signs Of Greater Things To Come?